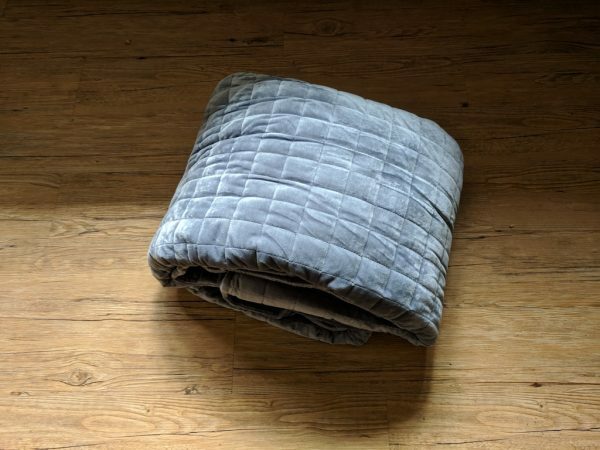 REVIEW – The Ethohome Gravis Weighted Blanket is a reasonably priced, high quality, weighted blanket that could be the solution for some people who suffer from restless sleep or nighttime anxiety. 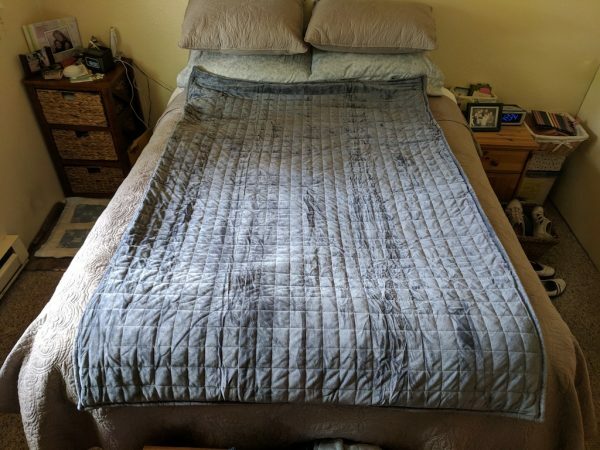 At $269.99 for the 25 pound version, the Gravis was super effective in my testing and priced right around the same as other weighted blankets of similar quality. 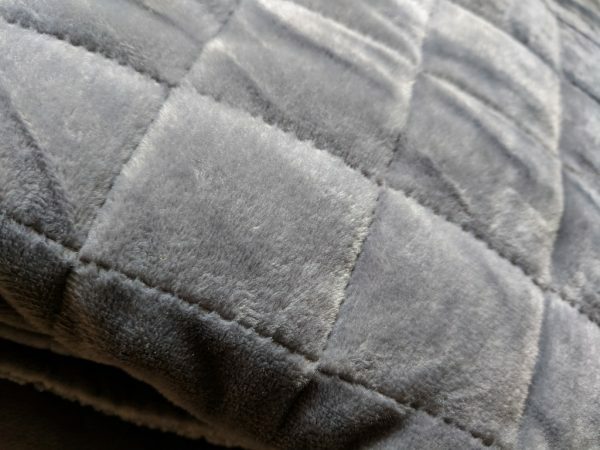 Weighted blankets hit the mainstream in 2017, but they have been around for a long time, mainly used to treat autistic children or adults with severe anxiety issues. 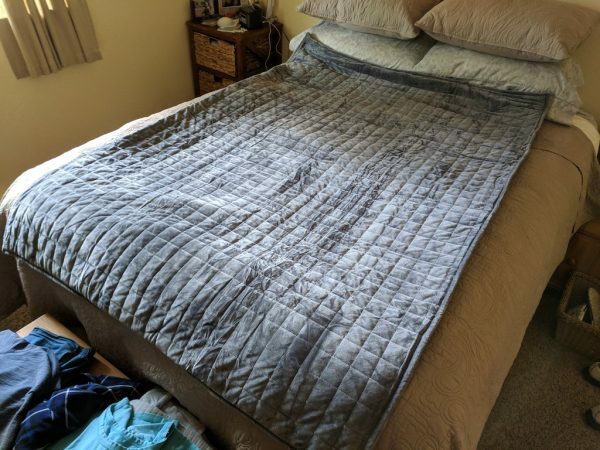 There are a number of studies done on the effectiveness of weighted blankets, but the majority of supporting evidence I’ve found has been anecdotal. 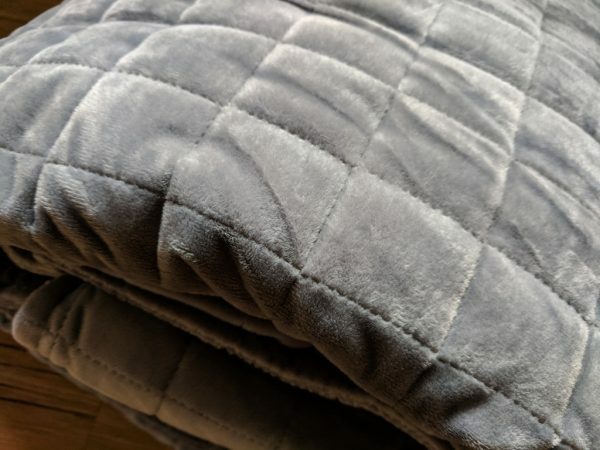 After using the Gravis Weighted Blanket for a few weeks, you can definitely add my experience to all of the positive feedback surrounding weighted blankets. 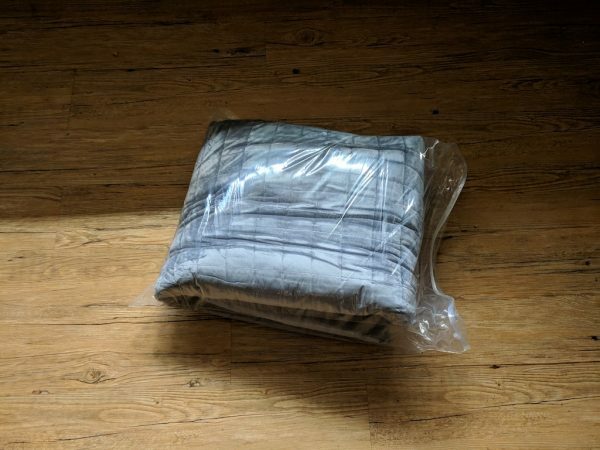 Results may vary among individuals though, so I’m not going to debate the effectiveness of weight blankets in general; I’ll just be reviewing this particular weighted blanket by Ethohome. 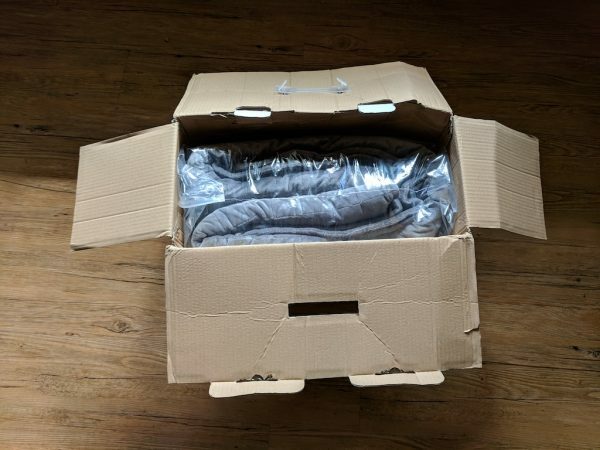 The Gravis Weighted Blanket comes in a box that at first seems way too small to hold such a heavy item. The plastic handle on mine was broken when it arrived and the company has since rebranded itself from Montage to Ethohome, so the packaging may be different and of better quality at this point. The Gravis blanket comes with an attached cover and is compacted into what appeared to be a vacuum sealed plastic bag. Once removed from the plastic bag the blanket expands a bit. Upon first picking up the deceptively light looking blanket you’ll quickly realize how difficult it is to manage a 15-25 pound blanket. 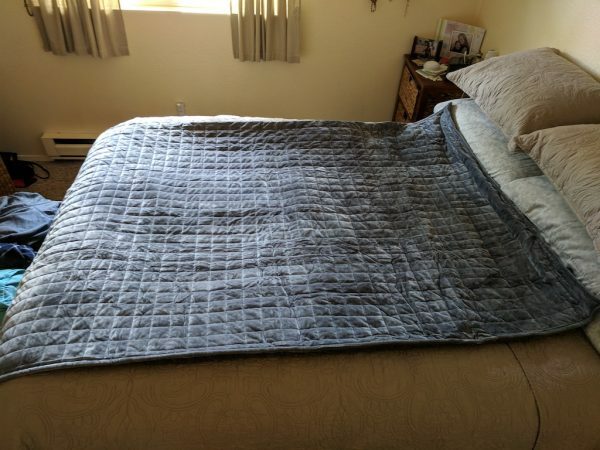 The design of the Gravis is similar to most other weighted blankets. The blankets achieve their weight via thousands of glass pellets sewn into little sections of the blanket. The Gravis stands out in my opinion mainly because of how quiet the pellets are. 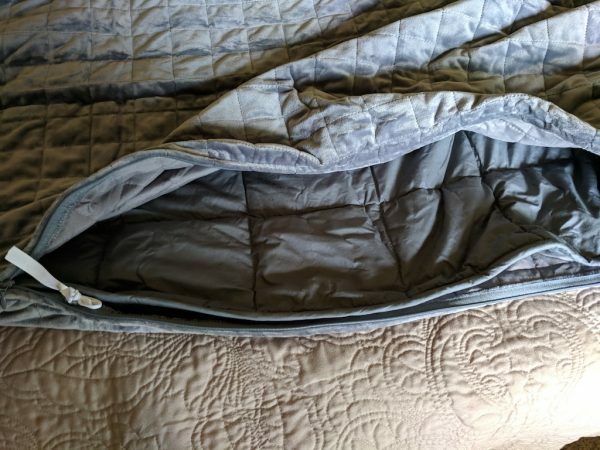 A few other weighted blankets I’ve tried have been really noisy, producing a loud rain-on-a-tin-roof sound every time I rolled over or shifted my weight. The cover of the Gravis may be to thank for this; it’s a thick felt-like material that’s very soft to the touch. 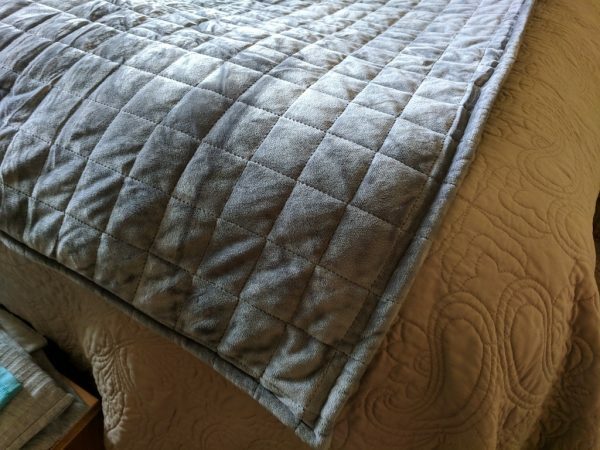 You’ll find that most weighted blankets don’t come in traditional bed-covering sizes like full, queen, or king. 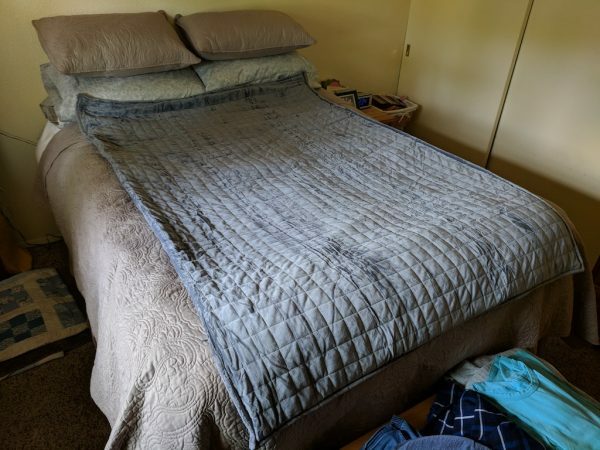 Weighted blankets those sizes would be impossible to manage and the weight would be dispersed too much to be effective. The 25 pound Gravis I tested measures 72 x 48 inches. For maximum benefit, Ethohome recommends using a blanket that’s about 10% of your body weight. Although some people may prefer a heavier or lighter blanket. 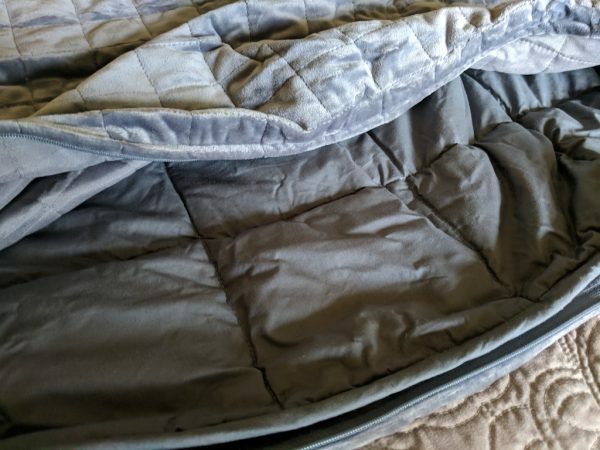 It’s also very important to remember that the Gravis, or any weighted blanket for that matter, should not be used by children under the age of four or by any individual weighing 50 pounds. It would be very easy for a child or person that small to not be able to move themselves out from under a heavier blanket and that could prove dangerous. The quality of the seams on the Gravis is impressive. After a few weeks of use and making my bed each morning, there are no signs of pulls or tears. The Gravis itself is secured to its cover via strong fabric ties in each corner. The cover has a sturdy zipper that folds away discreetly once it’s closed. I did notice that after some time, the blanket started to bunch up in the corners a bit. With a regular blanket this is easily remedied by tossing it up into the air and laying it back out flat on the bed. That won’t be possible with the Gravis, but it wasn’t too difficult to spread the blanket out flat again and work out the bunching. The Ethohome website says that the Gravis’ cover is machine washable, but that the blanket should only be hand-washed. That makes sense, because I’d never expect something this heavy to be washed effectively in a consumer strength washing machine. I’m a restless sleeper. I’ll wake up anywhere from two to three times each night, lie awake for a bit and then fall back asleep. While using the Gravis, I’ve had the most complete night’s sleep since I can remember. I no longer wake up during the night and I’ve found that I fall asleep much faster than ever before. The few times I’ve slept away from home during the testing period, I found myself missing the comforting weight and restful sleep the Gravis provided. 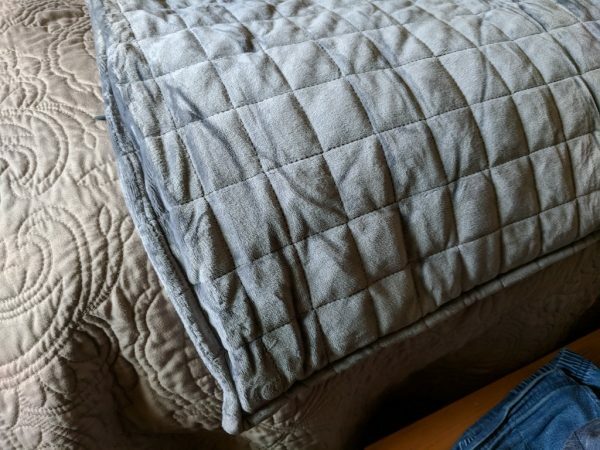 Weighted blankets may not work for everyone, but if they do work for you, the Ethohome Gravis is a great choice. The Gravis is of very high quality, has an included cover, and is reasonably priced. The Gravis comes in one color, Space Gray and three versions; 15, 20, and 25 pound. Source: The sample of this product was provided by Ethohome. The notion of 10% of body weight is absolutely incorrect and should never be a recommendation for a weighted blanket. That formula comes from two studies on back injuries in schoolchildren from using a backpack that’s too heavy, in those studies the 10% figure was a safety limit above which injury may occur, it was never a recommendation and had absolutely nothing to do with weighted blankets. With a few exceptions, it is simply a matter of personal preference. Some people prefer a very heavy blanket while for others too much weight can itself cause anxiety. I feel like I could have invented this. For twenty years, I have told my wife after every visit to the dentist how much I liked the lead apron they put on you for the X-rays.